4 Summer Picnic Locations in D.C. Grab the blanket and the lawn chairs, because picnic season is here. And while Washington, D.C. lacks the charm of a small town or the open spaces of the countryside, the city has plenty of unique opportunities to pack and enjoy and outdoor meal. Here are five only-in-the-city ways to enjoy a picnic meal this summer. 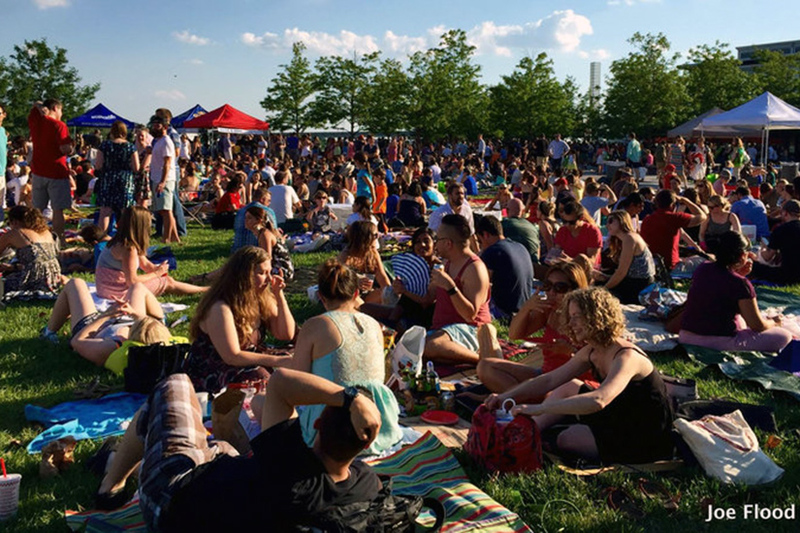 The National Gallery of Art’s Annual Jazz in the Garden concert series is back this summer, taking over the picturesque sculpture garden. The free event runs Friday evenings from 5 p.m. to 8:30 p.m. through September 2. Musical acts vary and the full schedule is available online. Feel free to bring dinner or an after-work snack. Just keep in mind that alcohol isn’t permitted, but is available for purchase – the sangria is particularly popular with concertgoers. Yards Park is a huge example of the blossoming of D.C.’s Navy Yard neighborhood. (355 Waters St. SE). It’s been hosting a Friday night concert series each week from 6:30 to 8:30 p.m. Make it a happy hour and pack in a few drinks and roll out a picnic by the river. There’s plenty of grass and the park books acts that appeal to the whole family. After your done, check out one of the great nearby restaurants. Union Market (1309 5th St. SE) is bringing back this great American tradition once a month this summer. 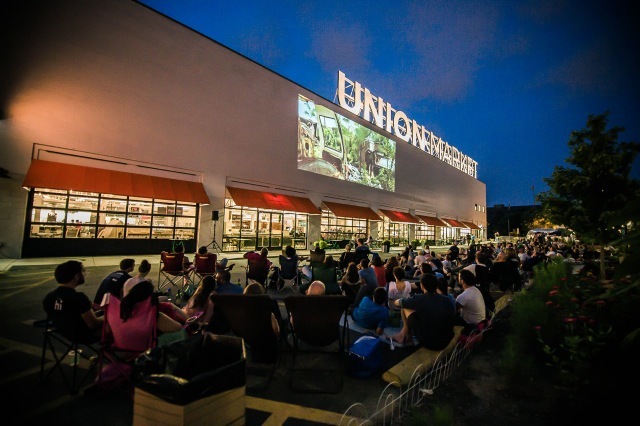 Drive-in movies are nearly extinct, and finding one in a city is definitely rare. The next showing is August 5 with a showing of Ratatouille, followed by Grease on September 2 and the original Ghostbusters on October 7. Movies start at 8 p.m. or sunset and include a free first-come, first-served picnic and seating area. Tickets for parked cars can be purchased in advance for $10. D.C. has its own Roosevelt Island, and unlike its New York City counterpart, this one is packed with nature. The wooded island sits in the middle of the Potomac river and has tons of birds and other wildlife. The miles of trails also offer a spot for some quiet space away from the bustle of the city. It’s popular with walkers, joggers and picnics. The only trouble is it’s accessible really only by car or bike trail. It’s also reachable by a 15-minute walk from the Rossyln metro stop.